The International Wolf Center is proud to have an active Board of Directors guiding its present and future activities. Nancy jo Tubbs is the Chair of the Center’s Board of Directors. An Ely resort owner and writer, she joined the Board in 1992 after writing about the Center’s wolf pack and about field research by Dave Mech and Mike Nelson. Dave Mech is the founder and board vice-chair of the International Wolf Center. He launched a committee to create the facility in 1985. The project was a natural outgrowth of his wolf research and realization that people would only respect the wolf after they had come to understand it. Dave is a senior research scientist for Department of the Interior and an adjunct professor at the University of Minnesota in St. Paul. He has studied wolves on Isle Royale, in Minnesota, Canada, Italy, Alaska, Yellowstone, Ellesmere Island, and elsewhere since 1958. 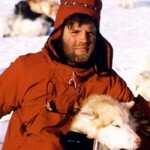 Dave authored several books including The Wolf: The Ecology and Behavior of an Endangered Species in 1970, The Way of the Wolf in 1991, The Arctic Wolf: Living with the Pack in 1988 and Wolves of the High Arctic in 1992. A detailed wolf reference book Wolves: Behavior, Ecology, and Conservation, which he co-edited with Luigi Boitani, was published by University of Chicago Press in 2003, and his latest book The Behavior of Wolves Hunting Wild Prey, coauthored by Doug Smith and Dan MacNulty, with video by Bob Landis, was published in 2015. Dave chaired the IUCN Wolf Specialists Group of the World Conservation Union from 1978 to 2013 when it was incorporated into the Canid Specialist Group, to which he will be a special advisor. Dave makes regular financial donations to the Center and its endowment fund, and his expertise, technical editing and contacts with other wolf researchers and professionals are invaluable to the Center’s projects and operations. The grand opening in 1993 of the International Wolf Center was a landmark moment for Dave. Now, seeing people use the facility, the outreach made possible by the Internet, and the work of dedicated Board members sustain his commitment to wolf education around the world. Paul Anderson joined the board in 1990 after volunteering at the Center’s first symposium. He is an architect at Partners & Sirny Architects in Minneapolis and specializes in sustainable design and planning for organizations that deliver interpretation and environmental education. He serves as the Center’s treasurer, chairs the Building and Grounds Committee and, over the years, has advised staff on many construction projects at its Ely facility. Cree Bradley came on the Board as a student-member in 2002. When her term was completed, she was elected to regular membership. Cree is director of Silver Creek Institute in Two Harbors, Minnesota, promoting sustainable agriculture, clean energy and community planning. She works for the Lake Superior Sustainable Farming Association as the facilitator of Farm Beginnings, a year-long farmer-taught training and support program for beginning and aspiring farmers that focuses on holistic management, business planning, goal setting, financial management, marketing and production. Cree manages Superior Grown, a Lake Superior area initiative that promotes local food and agricultural products while connecting regional producers with consumers. During the summer and fall, she works fulltime for the Minnesota Department of Agriculture as a seasonal agronomist, monitoring invasive gypsy moths in the Superior National Forest and managing her own three-acre Chelsea Morning Farm. Cindy Carvelli-Yu has been in the financial services industry for over 30 years. She currently is with U.S. Bank and focuses on the unbanked and underbanked market with debit card products. She has experience in program management, web development, market research and card processing. Cindy is also very active in the non-profit community. She has served on several Boards including Chairing the St.Paul Festival and Heritage Foundation, Ramsey County K9Foundation and most recently co-chaired the St.Paul Police Foundation Gala which focused on raising funds against domestic violence. Cindy and her husband Song purchased a small cabin in Ely in 2012 that they are busy making improvements on. While Cindy has had little exposure to wolves, she is excited to be part of an organization that focuses on education and is eager to embrace a non-profit in the Ely area that her and her husband have grown to love so much. Minneapolis attorney Rick Duncan practices in the fields of environmental law, federal Indian law, and commercial litigation. He has extensive experience in the Endangered Species Act and the Wilderness Act, statutes critical to wolf conservation, and received the Sierra Club’s William O. Douglas Award in 2007. Rick attended Yale Law School, and has been an adjunct professor at the University of Minnesota Law School. He and his wife Beth Goodpaster, also an environmental lawyer, have two daughters and multiple pets. Francis “Fitz” Fitzgerald recently retired from the Minnesota Land Trust as Director of Conservation, Northern Region. He was formerly the Program Director and Project Manager for the San Luis Valley Program Area with the Colorado Chapter of the Nature Conservancy. He is a veteran of the U.S. Marine Corps, has held a Minnesota Real Estate Broker’s license, was a partner in various contracting firms for 16 years in Rochester, and owned and operated Northernair Lodge near Ely during the 1990’s. Fitz holds a Bachelor of Science degree in Natural Resource Management and Wildlife Management from the University of Wisconsin, Stevens Point. He and his wife Heather have lived on Mitchell Lake near Ely since 1991. Nancy Gibson joined the board in 1987 and poured her energy into raising the necessary funds to build the International Wolf Center from the Minnesota State Legislature and private sources. She won two Emmys for her naturalist abilities on the award-winning PBS show, Newton’s Apple. Nancy helped lead the successful 2008 Clean Water, Land and Legacy Amendment that will protect large areas for wolves and other species. She currently sits on the Commission that distributes annual funds from the Environmental Trust Fund. Her first book WOLVES was published in 1996 and she is a regular contributor to various natural resource publications. 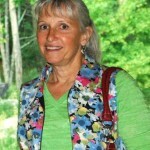 Nancy was one of the first Center’s board chairs and has served on most of the committees. She raised the Center’s two arctic wolves, Malik and Shadow, in her home for their first six weeks. She also conducts educational programs for the Center. Debbie Hinchcliffe joined the board in 2011 after retiring from a 33 year teaching career as an Outdoor/Physical Education teacher. She has always had a passion for the outdoors and wildlife, being exposed to it at a very early age through her parents and grandparents. She became interested in wolves after participating in a Center trip to the arctic in 1998 and has since been on numerous other IWC trips to the arctic and Yellowstone National Park. She strongly believes that the education of our youth is the key to maintaining wildlands and wildlife for the future generations to enjoy. She and her husband give wolf education programs to schools and wildlife centers around the state of Wisconsin. She currently chairs the board’s Education Committee. Connie LaFond is a CPA and licensed wildlife rehabilitator. Connie has her own accounting practice working out of her home in Independence, Minnesota. She specializes in individual and business tax preparation and consulting, and works with small nonprofits. Connie has been a licensed wildlife rehabilitator for over 30 years, specializing in red and grey fox. She has also rehabilitated coyotes, raccoons, rabbits, squirrels, and any other animal that might need assistance. Connie has been a member of the International Wolf Center since it opened in 1993. She first became interested in canids by following Dr. Dave Mech on a wolf study weekend while she was in high school in Grand Rapids, Minnesota. Connie is excited about using her financial skills and wildlife rehabilitator experience as a board member. 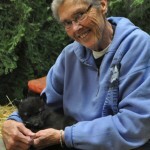 A member of the International Wolf Center since 1993, Deb was elected to the Board in 2013. She was on the Pup Care Team in 2008 for Aidan and Denali, in 2012 for Luna and Boltz and again 2016 with Axel and Grayson. Deb is an active International Wolf Center volunteer in the Twin Cities area educating the public about wolves at the Minnesota State Fair, the Minnesota Zoo, and several school Environmental Fairs. Deb also volunteers for the National Park Service with the Mississippi National River and Recreation Area, and is a Master Naturalist volunteer. Aaron Morris joined the board in 2015. He became familiar with the Center and its programming in 2013 while working in Ely for the USGS Wolf-Deer Project. He has also participated in wildlife research projects in Yellowstone National Park and on the North Slope of Alaska. Additionally, he has worked professionally in the adventure recreation industry in Colorado and British Columbia, providing opportunities for youth to connect with wilderness. Aaron’s home base is St. Paul, where he lives with his wife, K.C., who is a teacher, and their two Alaskan Huskies. Mike Phillips is the executive director of the Turner Endangered Species Fund. He was the National Park Service project leader for wolf restoration in Yellowstone National Park, coordinated the red wolf reintroduction program and co-authored The Wolves of Yellowstone. He joined the board in 1997. Mike was elected as a representative in the Montana House of Representatives in 2006 and as a Montana State Senator in 2012. Debbie Reynolds joined the board in 2001. She has lived and worked in Minneapolis, MN, for 40 years, and is a retired retail executive from Target Corporation. Debbie has always been interested in conserving our natural resources and has focused on education and preservation of habitat. She has been board chair for Milkweed Editions, a non-profit press specializing in publishing books revolving around the “World as Home” for children and adults. She has also served on the Raptor Center board at the University of Minnesota. She is current Board Chair of Audubon Minnesota. After traveling to the Arctic twice, Debbie said she has come to a full appreciation of the Center’s dedication to education about the need for biodiversity, which includes wolves, and concern about habitat loss. Debbie has assisted the Center with raising revenues by volunteering her skills in retail management at the Wolf Den store. She chairs the board’s Audit-Finance Committee. Jerry Sanders joined the board in 2003 after meeting board members on several Center adventure trips to the Northwest Territories and Yellowstone National Park. He enjoys giving educational programs on wolves to high school students and views supporting classroom teachers as an important step in teaching the next generation to understand the real wolf. He currently chairs the Board’s Membership Subcommittee. Paul Schurke is co-owner of Ely-based Wintergreen Northwoods Apparel and Wintergreen Dogsledding Lodge. He is an author, Arctic adventurer, and leading authority on cold weather safety, winter wilderness travel and camping skills. Paul joined the Board in 1989 and has since sponsored many wilderness adventure trips to benefit the Center. 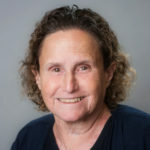 Alice Silkey retired from teaching at Hamline University School of Law (a predecessor school to Mitchell Hamline School of Law) in 2015 after twenty-five years. After serving as a Legal Writing Instructor for several years, Alice served as the Director of Legal Writing for fourteen years and as the Director of Academic Support for nine years. Her great passion for education and for helping all students to succeed and her unwavering commitment to student learning were reflected throughout all facets of her teaching and directorships. Alice is writing a book on Pathways to Humaneness in Legal Education that has been accepted for publication. Since retiring from the academy, Alice has focused her efforts primarily on diversity, equity, and inclusion in higher education, legal education, the legal community, and the judiciary. She has also done significant work in community mediation at the policy level. Alice serves on a number of boards, committees, and councils, including the Committee for Equality and Justice of the Minnesota Judicial Branch, the Diversity and Inclusion Leadership Council of the Minnesota State Bar Association (MSBA), and the Diversity Committee of the Minnesota Chapter of the Federal Bar Association. Alice serves as the Diversity Liaison for the MSBA Alternative Dispute Resolution Section Council, and she serves on the Diversity Initiatives Steering Committee at Hamline University. As an Emeritus Member of the Association of Legal Writing Directors (ALWD), Alice serves on the ALWD Diversity Committee, and she received an Outstanding Service Award for this work in 2018. In addition, Alice serves on the Board of Community Mediation Minnesota, the Minnesota Community Dispute Resolution Programs Statewide Advisory Council, and the Restorative and Mediation Practices Advisory Council. Alice has a great passion for the study of wolves, and she has been a member of the IWC since 1995. In addition to studying wolves at the IWC, Alice has studied wolves at Yellowstone National Park since 2001. She especially loves wolf watching at Yellowstone in the Winter! Alice joined the IWC Board in October 2018, and she is very excited to have the opportunity to bring together her belief in the power of education, her belief in the mission of the IWC, her love of teaching, and her passion for wolves as a member of the Board. She brings to the Board experience in leadership and collaborative decision-making; an understanding of how to cultivate awareness of the importance of diversity, equity, and inclusion in organizations; and expertise in writing. Alice serves on the Strategic Planning Committee, the Education Committee, and the Communications Committee. Keira Thrasher is an independent instructional design consultant specializing in mobile and e-learning design and development for a wide variety of clients, industries, and audiences. In her spare time she enjoys working with her local school and school district, serving on curriculum advisory committees and managing social media for parents. Keira has always loved the outdoors and wildlife, and became especially keen on wolves when her daughter’s special interest in them opened up a world of wonder, exploration, and joy that transformed their family’s life. Keira is excited to have this unique opportunity to help extend that joy and appreciation to new audiences. The International Wolf Center is pleased to count the following scientists, naturalists, educators and business professionals among its advisors.